$3.98 Embroidered Baseball Cap Special! I spoke to one of our warehouses in CA today and they need to make room for new stock, so these recycled baseball caps are on sale while supplies last. Includes your full color embroidered company name or logo up to 5,000 stitches. 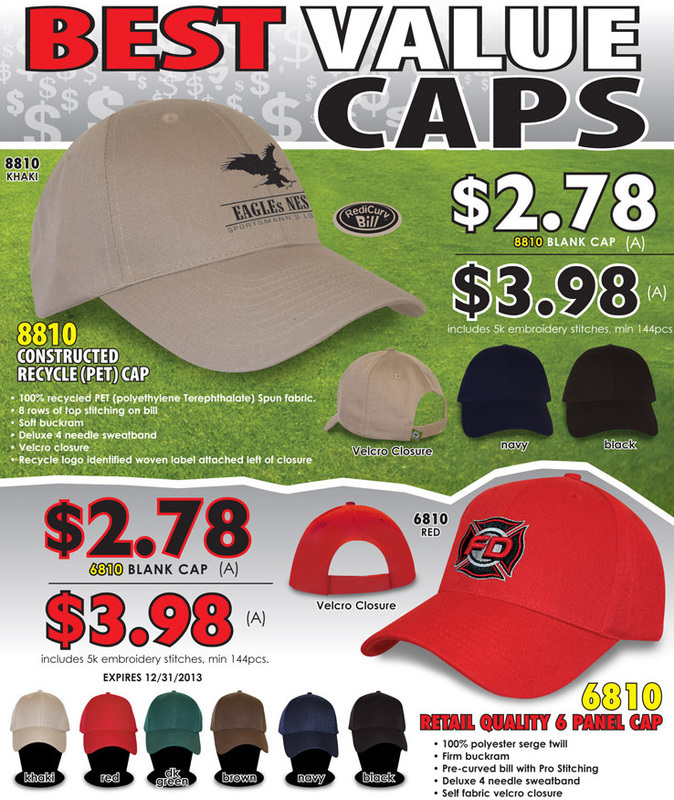 Caps are made of recycled material, which is awesome, and have a comfortable velcro closure made of the hat material. 144 piece minimum.